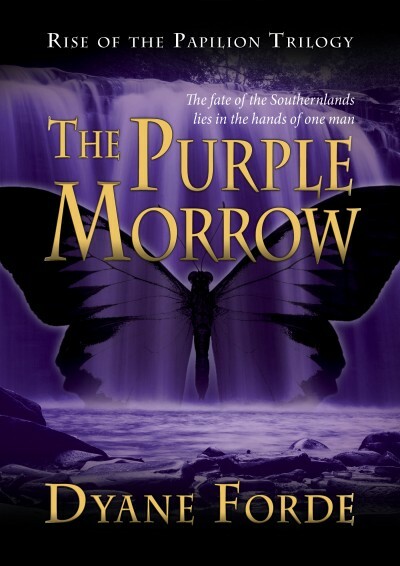 So, I’m excited to start this new series of posts on the Behind the Veil action that went into writing The Purple Morrow. Part of the idea to start this series came from some of the questions I received from the fan club. So much goes into writing a book, and writers draw inspiration and ideas from so many sources I thought it would be enlightening and fun to look at some of those on this blog. Actually, there is a story behind the title Behind the Veil. When my husband and I were looking for waterfalls to use on Morrow’s cover, I really liked this one image where the cascading water was actually the graceful folds of a curtain. It was so theatrical yet also seemed to hint at something amazing to be revealed upon reading the book. But it was too expensive so we had to nix it. Luckily, the nice people at ForestWander.com let us use theirs for free. It’s gorgeous–check it out! First important influence? Movies. I love movies! They are fabulous sources of inspiration. In fact, Erne’s Drop, Nyssa’s cliffside Water Clan settlement, was inspired from the movie Immortals, as was the spirit behind the visceral, wanton destructive power of the Rovers as described in chapter 4. But aside from providing basic visual ideas, I have a deep respect for directors who use movies to tell great stories with images. 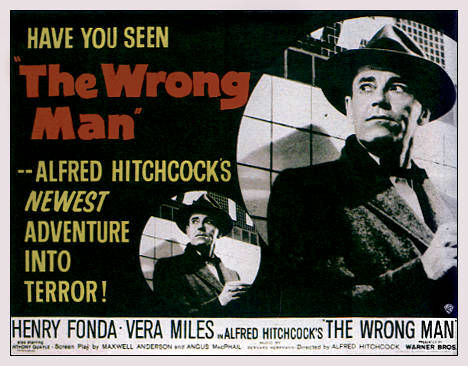 Hitchcock is one of my all-time favorites amongst the classic directors and JJ Abrams is a modern favorite. You can tell by watching their work that they love movies and that they think long and hard about each shot they filmed. For example, I love how Hitchcock cropped shots to focus in on something like Henry Fonda’s feet walking upon his arrest in The Wrong Man–so much was said visually speaking in that simple shot. 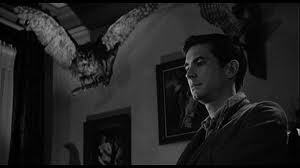 Or what about that awesome ‘bird of prey’ scene with Anthony Perkins in Psycho? Hard Candy was one of my favorite modern movies, and in it colour was manipulated in a scene or two to dramatic affect. In Signs, Shyamalan does a great job of showing versus telling in the cellar scene when the flashlight falls and all you get are sounds, voices and flickering lights to infer what’s going on. Fantastic! And in Abram’s Super 8, that full-screen 3-4 second shot of a keyhole and an adolescent girl’s hand poised to unlock it creates insane build up before we get to see the mystery behind the door. All of these techniques stimulate our senses and imagination, heightening the visual and emotional experience so it becomes something deeper than the act of merely watching. 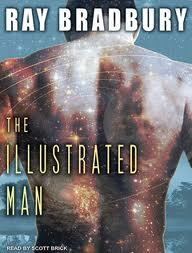 On a literary note, I found Ray Bradbury’s The Illustrated Man was a great help in terms of leaning to set up a scene. The book consists of numerous short stories but each one packs a punch. I think this is what caught my attention. I wanted to know how he did it in such few pages. Nothing ever felt out of place or unnecessary, and each piece laid the foundation for a killer story. So I studied them as best I could and feel I came out of that experience the richer for it. To me, learning to visualize a scene and its parts as well as considering the intention behind the scene before I write it helps dictate what elements I choose to use, to manipulate or leave out altogether. Depending on the scene’s purpose, not everything in it is important. In sum, these resources deepened my understanding of the overall power of images. And to me, writing is most powerful when we translate strong, meaningful images into written form which then results in moving our readers. Okay, a fun fact on visual inspirations: A huge resource in the writing of Morrow came from my all-time favorite animated series, which I still feel is the best program I’ve seen on TV: Avatar, The Last Air Bender. 1) How to work with a cast of characters. 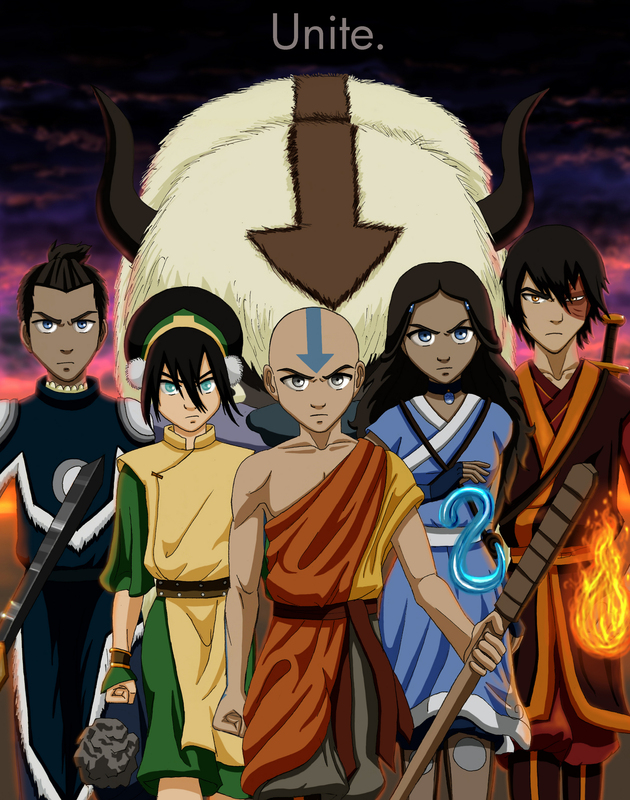 In the series, Aang is the main character but he is surrounded by a great cast. Each one is unique, even Apa (an air bison) and Momo (a flying lemur) bring something special to the team and to the series. I couldn’t image Team Avatar without Toph or Soka or even Zuko (my personal fave). Throughout the series, each one of them–even the animals–has their own story-lines which contribute to the overarching plot. And each of them grows. By the end of the series, they physically look the same but they themselves are barely recognizable. In the Papilion series, many characters move to and from centre stage, offering readers new perspectives on the happenings in Marathana. Jeru and Kelen are still the main characters, but I wasn’t afraid to let others have their place and their say in the story. As a writer, this makes for much more interesting and dynamic writing, and for the reader, I hope, more fun reading. 2) How to create a great villain. Zuko is my man. He drove me nuts at the beginning with his obsessive antics but when the show reveals his past and the resulting motivational drive, I started to see him with new eyes. He became a ‘person’ and not a cookie-cutter bad guy I didn’t care about. I even felt a twinge of compassion for his sister, Azula, who is as batty as they come, because of the window they provided into the life she led. Through the treatment of these characters I learned how to handle Kelen, my main antagonist in Morrow, who at this point seems to be a crowd favorite. Be waiting for the next post. I find a lot of inspiration in crime shows, the real ones not CSI. Aw, come on! Those CSI shows are REAL!!!!! lol My, my. Such disdain! I never really thought of a movie as a source of inspiration, but I can definitely see that. The Behind the Veil idea is a great one. I can’t read to hear more of your tips! Really insightful, Dyane. I’ll keep my eyes peeled for other instalments 🙂 I love reading about other writing journeys. It’s true, writers can learn a lot about story-telling from movies. Great tips and it is nice to learn a little about the process leading up to the book Dyane. Glad you enjoyed it, Yolanda 🙂 I hope to do more of these posts soon.